It’s no surprise that the tragedy of the recent Orlando massacre sparks yet another heated political debate on our country’s gun-control policy. If you’ve been following recent news, presidential candidates have both introduced new gun-control measures they believe will solve this country’s mass casualty problem at the hands of gun use. Presidential candidate Hillary Clinton plans to strengthen background checks for those trying to purchase a gun, while Presidential candidate Donald Trump is generally against any major gun control policy change. One thing both candidates have seemed to agree on since the news of the Orlando tragedy is that no one on the government’s “No Fly List” should not be allowed to purchase a gun. This has sparked an even bigger debate about whether enforcing stricter gun-control measures against those on the no-fly lists is even constitutional to begin with. 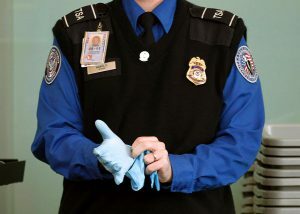 The National Rifle Association (NRA) believes, “Restrictions like bans on gun purchases by people on ‘watch lists’ are ineffective, unconstitutional, or both.” The American Civil Liberties Union (ACLU) has expressed a similar position in that the current issues with the no-fly lists should be fixed before restricting gun rights. According to the group’s National Security Project Director, “The standards for inclusion on the No Fly List are unconstitutionally vague, and innocent people are blacklisted without a fair process to correct government error…” The group hopes to help implement change to allow those on the list a proper means to challenge their placement on the list because of the significant consequences it can have on an individual’s life. The No Fly List prohibits individuals on the list from boarding any commercial aircrafts for travel in or out of the United States; it was created after the attacks on 9/11 to prevent specific known or suspected terrorist threats. Obviously the easiest way to end up on the list is to be suspected of direct terrorist activity. How the government determines you to be a suspect of terrorist activity is unclear. Reportedly anyone arrested or convicted for acts of terrorism, bombers, hostage takers, assassins, and associates of terror groups are among the list. Frequent travel to certain countries will likely get you on the list as well. Many critics argue non-violent political activists or social media users can get put on the list for things they say that the government deems worrisome. Others argue they were put on the list because they refused to be informants for the government. Clerical errors are another way to get on the list; either by having a similar name or someone making a mistake when adding a name to the list. Those with warrants out for their arrest or suspicions of other criminal activity unrelated to terrorism have been known to be on the list as well. Scrutiny of the list began early on because no one really knows the exact process the government uses to add people to the list. The government maintains secrecy is necessary for national security. It definitely makes sense that a level of secrecy is needed, as you don’t want potential terrorists to be tipped off, but it’s a fine line to draw between national security and constitutional due process protections. In 2005, TSA officials stated that at least 30,000 people had complained that their names were on the list and were only matched within the system because their names were an exact match to someone else. Passengers are not told when they book a ticket that their name has been flagged and don’t usually find out about it until they go to check in the day of their flight. Once they arrive and are told they can’t fly due to being on the list, they’re not going anywhere unless they can differentiate themselves and this leads to missed flights and a denial of boarding access all together. Obviously that’s a problem when a person that isn’t supposed to be on the list has a name that matches someone else. With such secrecy about the list, it’s hard to determine whether due process rights are being protected and whether the government is providing the proper means to get off the list if wrongfully put on it. Critics argue it’s nearly impossible to get off the list once you’re on it. There is a procedure available for travelers who are delayed or denied boarding an aircraft. Travelers can complete an online application at the Department of Homeland Security website, which requires several identifying documents. Once reviewed, the traveler will be notified via letter whether any corrections of data information have been changed, but it doesn’t typically take a traveler’s name off the list and doesn’t usually provide a wealth of information. It’s a process and definitely not an easy one. It’s a major problem because travelers aren’t always told why they’re on the list, the reasons they’re barred from travel, or given a chance to challenge the findings that put them on the list in the first place.